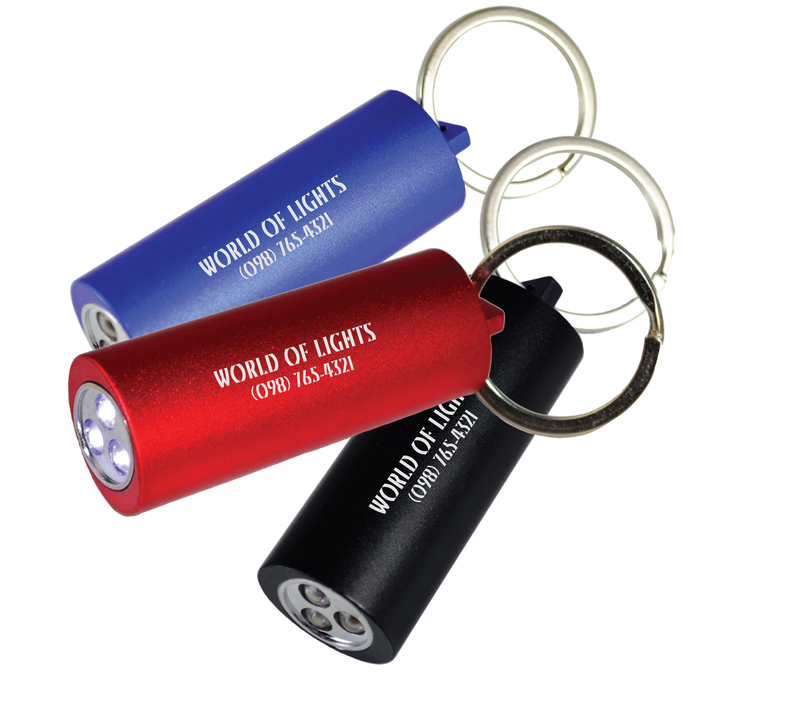 The AMSL is a metal pen with a light at one end and a stylus at the other. The stylus can be used on touchscreen products like the Apple iPhone, iPad, or Android tablets. Perfect for writing or using your touchscreen product at anytime of the day! 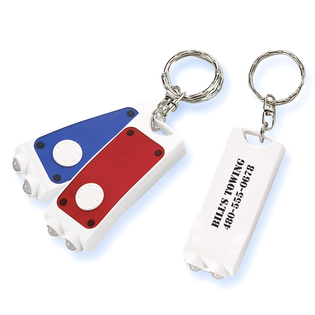 The AMSL comes in three different colors; red, green, and blue. 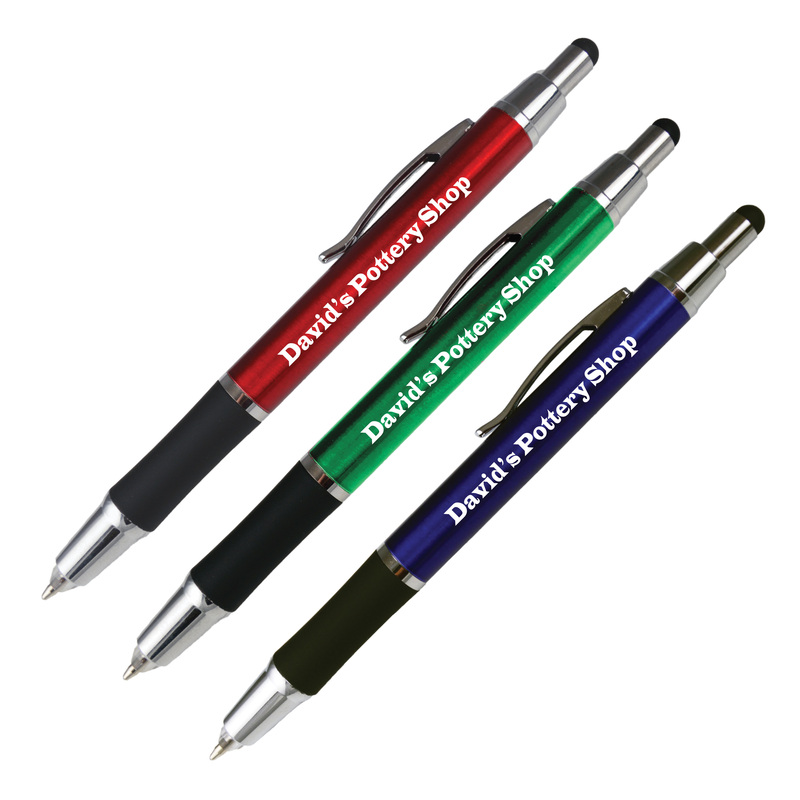 The barrel of the pen comes in a matte finish, while the tip and clip come in a polished, chrome color! 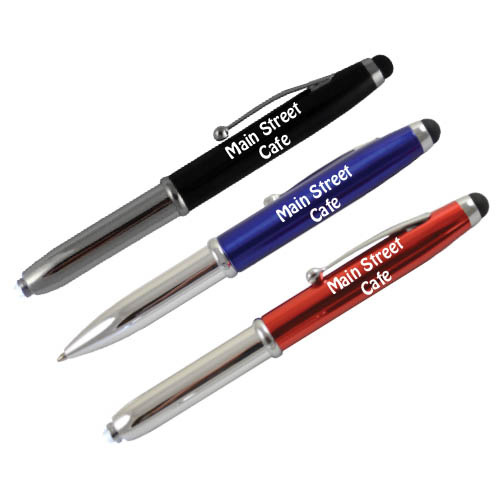 This pen also utilizes a pen grip for comfortable writing on the go! We use German ink barrels for smooth writing in all our pens. The AMSL contains black ink with a 1mm tip for fine script. 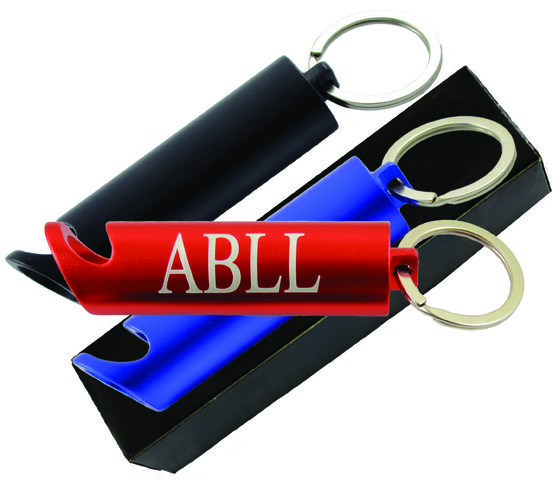 The AMSL is a virtue for any business! 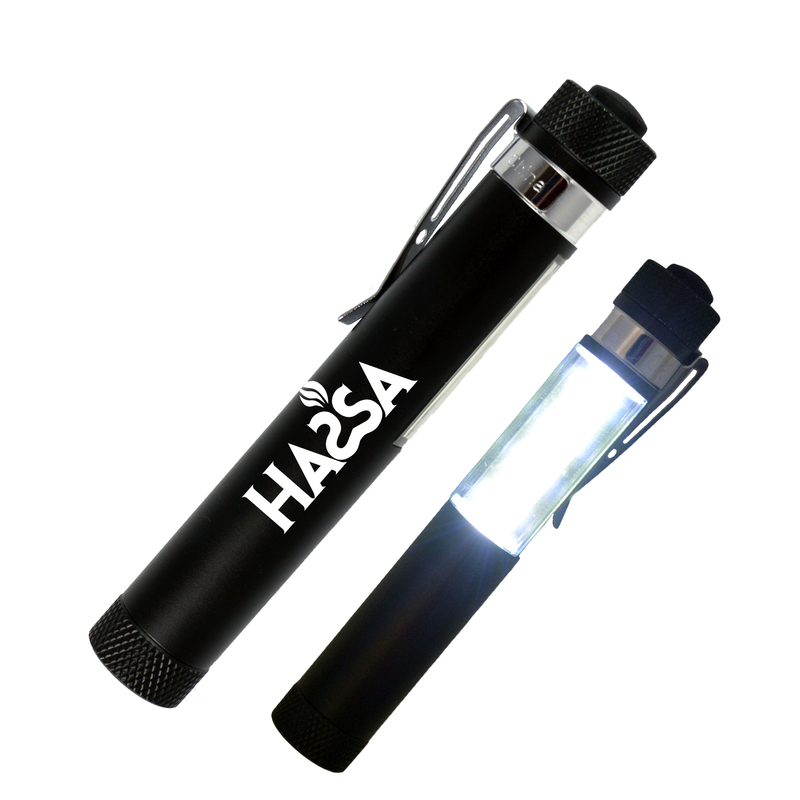 Black metal flashlight with 5″ black wrist-strap. 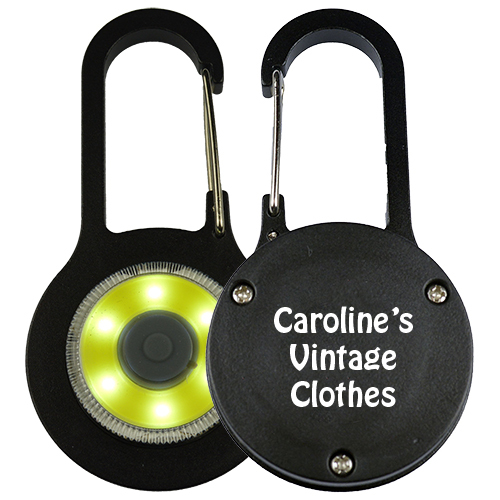 Our new metal pocket light! 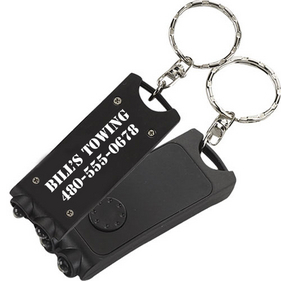 Includes a heavy duty magnet and super bright LED lights! 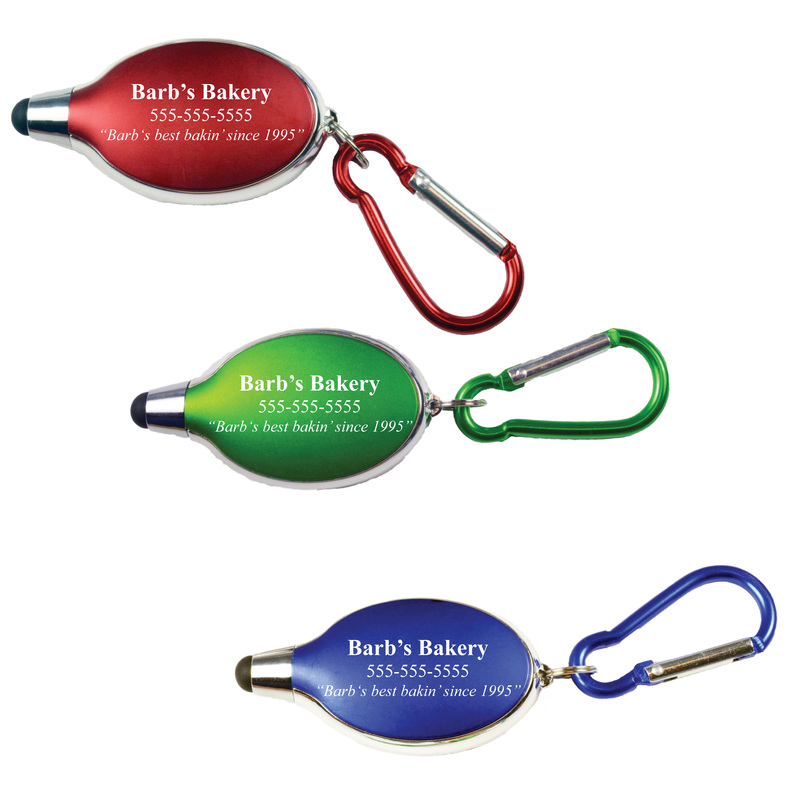 Attach this to your shirt pocket for hands free lighting! It’s great for plumbers and auto mechanics. 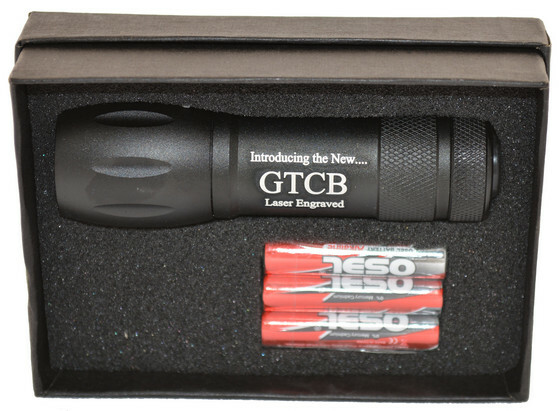 Custom laser engrave yours today!